During the summer period Two Tribes, the studio best known for its Toki Tori titles that also restructured and started again earlier in the year, announced its new 2D shooter — RIVE. At the time Two Tribes told us that it was "gunning" for Wii U development, and the studio has now confirmed on Twitter and to us at EGX in London that the title will definitely arrive on Nintendo's home console. That removes the doubt following its initial announcement, with Two Tribes working on the PC and Wii U versions internally and outsourcing the PS4 and Xbox One iterations. The previous doubt had been due to niggling concerns over performance on Wii U, but having spoken to the studio's co-founder, Collin van Ginkel, he's indicated that there is a build running on Nintendo's hardware. The team is confident enough with progress to officially include the system as a platform, especially with the group's previous experience running the engine — a modified version of that used for Toki Tori 2+ — on Wii U. We'll be sitting down for a detailed chat around the game at EGX and bringing you some first impressions soon; in the meantime you can learn more from our previous interview with Two Tribes. Usually when a WiiU version is being made alongside the console versions. It's usually a outsourced port. Now it's the other way around lol! Yay. I don't really know much about Rive... but have enjoyed a bunch of stuff Two Tribes put out and thought Toki Tori 2+ was amazing. Looking forward to learning more. Good to know. Next up release date. Just the initial trailer was almost enough to guarantee a day one purchase from me. Can't wait to hear more about this game! If you havent conducted the interview yet can you ask them about Sword and Soldiers 2, they're the publisher for Ronimo's game. 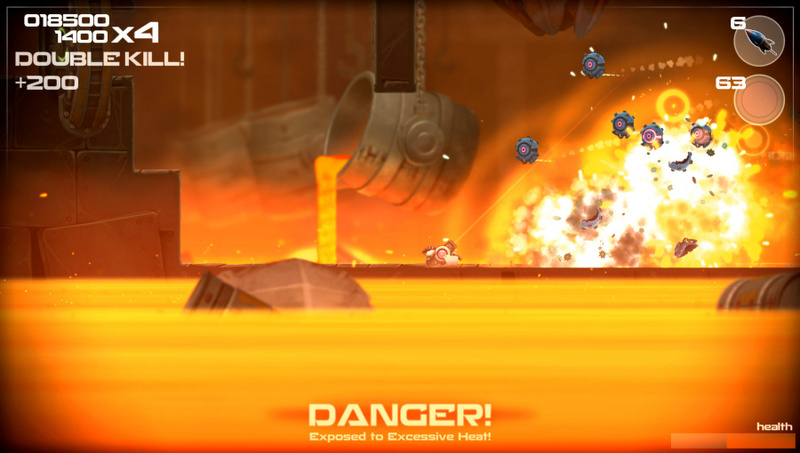 Dont know anything about RIVE but the screenshot looks nice. Ha, nice one. I mentioned this game just the other day. Really looking forward to reading your impressions, guys. Can't wait to play this, it's nice to see that this won't be skipping the Wii U. Two Tribes has earned their place as a premier indie dev team. When ya make good games, you earn the respect of gamers and they eagerly await the next release. Shinen is another great example. Buying both Art of Balance HD and FAST Racing Neo. I always try to keep my eye on Two Tribes' games. They are very supportive of Nintendo's consoles after all. Good stuff Two Tribes. Much respect. I look forward to the interview and seeing more of the game. It looks nice thus far. Awesome! Another Two Tribes game for my Wii U then. They make really fun games! I will buy this on Wii U and Steam. I already own all TwoTribes games on both Wii U and Steam. 3 of the Two Tribes games are in my Top 10 of the best Wii U eShop games, and the other 2 are in my Top 20. I love that they're well-crafted and cleverly designed, pretty much like Nintendo's own games, with the benefit of being just a few bucks despite their high quality. Can't wait for their first action game that is RIVE. Two Tribes are pretty very many quality. Glad this game is shaping up nicely and coming to Wii U. @JaxonH These games have me most excited after seeing how AMAZING Fast Racing Neo is. I looked into how they had to create their own CUSTOM engines to run Wii U the way they want. F.R.N. shows that Wii Us potential is 20 fold what we've been told. The upcoming INDIE games are what I'm looking for. Developers that know how to work with ADVANCED tech like Wii U.